Issue 1 of The Games Machine, a magazine interested in all new forms of computer entertainment, asked leading names in the home computer industry if they intended to develop software for the new breed of consoles. 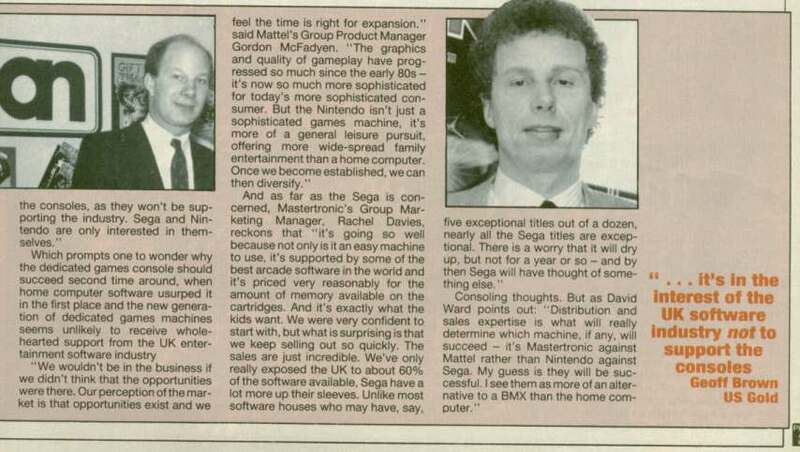 This was Autumn 1987 and Mastertronic was coming to the end of its first season of distributing Sega products. No other UK software house had such involvement - Nintendo preferred to use traditional toy distributors (and suffered throughout Europe as a result). 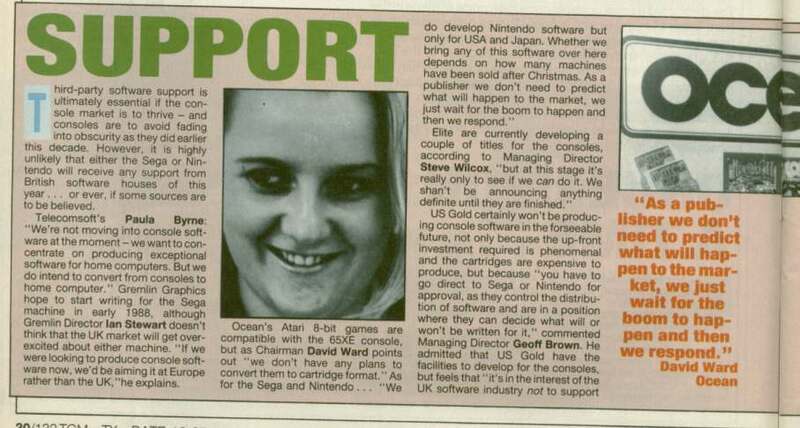 The quote from David Ward sums up the rather head-in-the-sand attitude of the 8 bit developers.